My son just got the ATT ZTE Z831 Android and I am putting in a 32GB sd card. 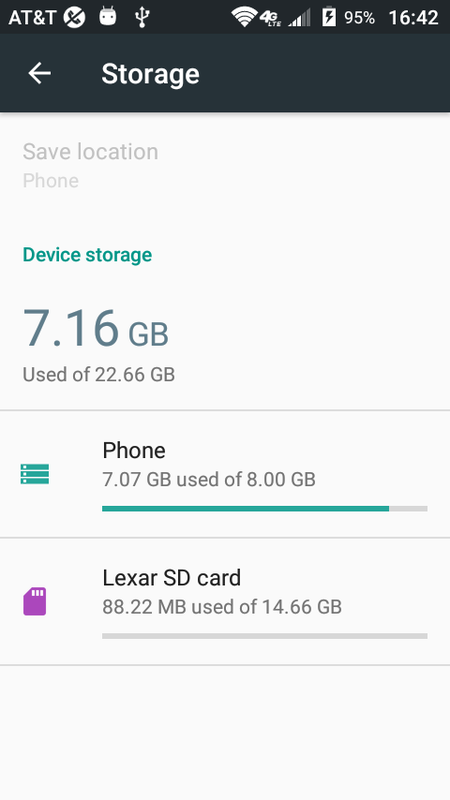 I was wondering if this phone has an internal storage option. not by design. see SuperThomasLab's answer here (sm partition disk...) to trick it. "mixed 50" corrupted my card (YMMV), but assigning the whole card to internal seems to have worked for me. open the card when you're done and tap "migrate data." card will no longer work as a portable (unless you reformat it as such). Not the answer you're looking for? Browse other questions tagged att or ask your own question. Is HTC one X AT&T and HTC one XL same? How can I ignore the AT&T software update? How to update HTC One X (AT&T) without the SIM? Update for att s5 on tmobile service? How do I get OTA from I got last update np. Had no idea my s5active even had custom rom yesterday update failed “kernel” in red locked me out.